TENS is an abbreviated form of a medical device called as a transceutaneous electrical nerve stimulus that is supposed to replace the pain messages being transferred from the affected areas of the brain by positive messages. Thus, it helps in relieving you from the pain in that part of the body. The pain we feel in any part of the body due to being hurt or an accident can be treated throughnrvous stimuli of the nerve endings just below our skin. A TENS device helps todeliver these impulses much more easily. However, proper settings and usage instructions must be followed to receive complete benefit from the device. Also, not all pain emerges from muscular dysfunctionality. The best things begin with, its completely non-invasive procedure to treat pain. It helps in diverting the attention of the brain from receiving pain messages with positive ones, stimulated by the TENS. In other words, TENS works by stopping the cycle of pain or interrupting it with neutral electrical signals, which ultimately replace the ones being sent from the pained area to the brain. Thus, the electrodes always need to be patched to the area and nearby. It increases the flow of a natural chemical in the body called “endorphins”. This is a hormone that causes all good and pleasant sensations in the body. TENS enhance andboosts its release to defend the pain of the sufferer. As, it can act on the nerves and the chemical level, it is a non-intrusive method. It is perceived as a much better method compare to drugs and injections. TENS device must always be monitored by a doctor or an expert because amateurs might end up hurting themselves in the process. There is always a limited amount of time for its usage, which is supposed to be prescribed by your doctor. Avoiding them can lead to sore skin on and near the patched electrodes. To avoid this use alcohol or gel at their base. It might result in muscle contraction and pain due to the negligence of the time duration or the frequency of usage. Sometimes, people use it during sleep and fall asleep without turning it off. These can be dangerous. It is always advised to use it for a maximum of 30 minutes and about 4-5 times a day. TENS therapy is an advanced method and is growing popular in the US and in the entire world. There are many ways to deal with pain starting from painkillers, but this has been proved medically to be much more effective. It always comes with controls to vary the strength and the speed of the stimulus and you need to know from your doctor about your state. Always follow as your physician advises you. 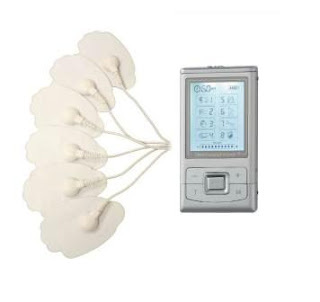 You must take care if you are pregnant or have a pacemaker, and they might create other side effects because of other electronic vibrations interfering with the TENS device. Sometimes, other medications might be more suitable for your condition.